The aurora seen over Scotland on Feb. 27, 2014. Credit and copyright: Euan McIntosh. This view of the aurora from Chobham, Surrey in the UK on Feb. 27, 2014. Credit and copyright: Tom Chitson. Lost for words. An hour and a half spent looking up at the most incredible aurora display I have ever seen. An aurora rising from the east above the Science Operations Center at Poker Flat. 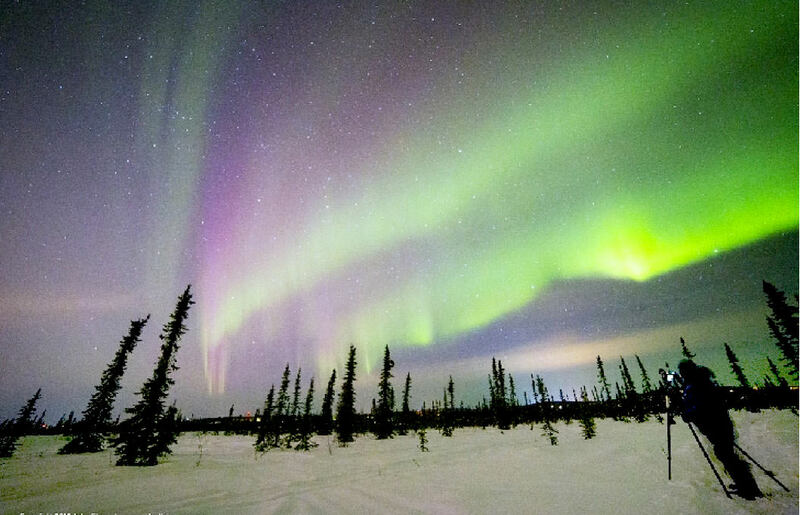 Aurora seen in Alaska on Feb. 28, 2014. The bubble in the lower right is a dome housing a scientific camera which happens to be in just the right spot to appear as if it’s blowing the aurora out. Credit and copyright: Jason Arhns. Northern lights from Carmyllie, Angus, Scotland on Feb. 27/28, 2014. Credit and copyright: Mick Walton. Aurora reflects on water, as seen on February 20, 2014 near Bremnes, Troms Fylke, Norway. Credit and copyright: Ronny Årbekk. To see more images, take a look at the Twitter feed of @VirtualAstro, or see the aurora gallery at SpaceWeather.com. Skywatchers in northern Europe are already seeing some aurora activity as a strong-to-severe geomagnetic storm is in progress, according to the NOAA Space Weather Prediction Center and SpaceWeather.com. The fuel for this storm was a coronal mass ejection over the weekend that has now reached Earth. This is great news for skywatchers, as both the Northern and Southern lights should be spectacular. But this is not so good news for satellite companies. 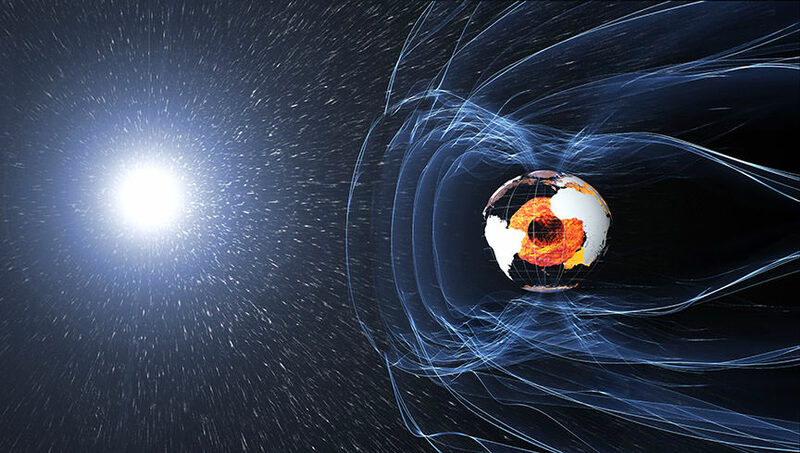 The Goddard Space Weather Lab reports a “strong compression of Earth’s magnetosphere. Simulations indicate that solar wind plasma [has penetrated] close to geosynchronous orbit starting at 13:00 UT.” Geosynchronous satellites could therefore be directly exposed to solar wind plasma and magnetic fields. Predicted auroral oval over the South Pole, for Sept. 27, 2011. Credit: NOAA Space Weather Prediction Center. The active region on the Sun will be pointed straight at Earth in few days as the Sun rotates, so this could be a week of high auroral activity. If you are able to capture images, send the to Universe Today via email or upload them to our Flickr page, and we’ll share them! See an image below of the Sun from September 25, 2011, showing the Active Region 1302, courtesy of John Chumack. For more information and updates see the links above, or the Geophysical Institute at the University of Alaska Fairbanks. The Full Solar Disk in Hydrogen Alpha Light 09-25-2011. Credit: John Chumack. Click for larger version on Flickr. The STS-135 crew of space shuttle Atlantis and the Expedition 28 crew of the International Space Station were treated with great views of the Aurora Australis. Here’s one shot the crews photographed, showing a panoramic view of the station/shuttle complex along with several different astronomical beauties! The aurora shows up brightly, but what else is in the image? Looking closely –and southern hemisphere observers might recognize some objects better — but do you see the globular cluster Omega Centauri, the Coalsack Nebula and the Southern Cross? Anyone see anything else? See larger views on NASA’s mission gallery page.